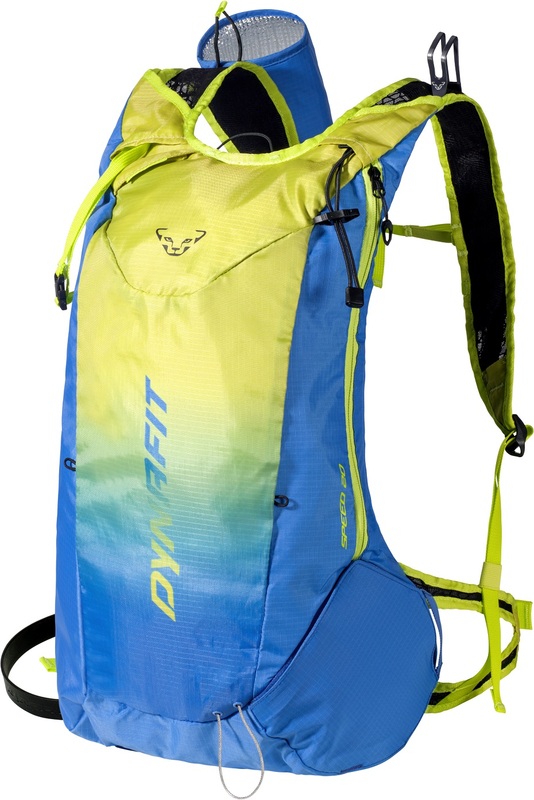 The Speed 20 is Dynafit's black-and-white answer to the difficult question: "what backpack should I wear?" Loaded with enough features to satisfy the demands of weight-conscious mountaineers and ergonomic enough to use for races, the Speed 20 is a viable retort. One huge pocket with side-zip access takes care of safety equipment, extra layers, and food. A Velcro side-pouch can hold crampons or an extra water bottle. The body is made of 210D rip-stop nylon so durability will be the last thing on your mind. The Speed 20 is an updated version of the RC 20 which has your back but won’t hold you back. Honeycomb Superlight nylon is a tough 210-denier rip-stop. Adjustable-height sternum strap helps dial in skin-access. 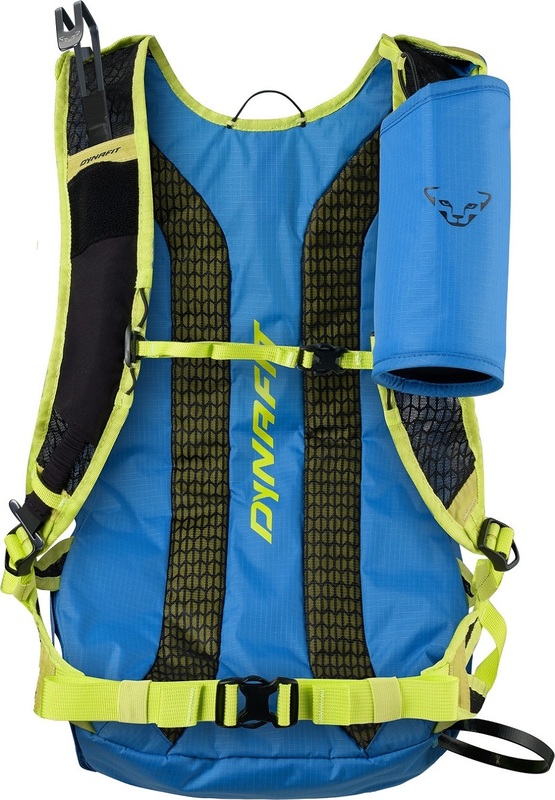 Anatomical Airmesh back keeps air moving where it should. 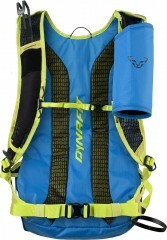 Removable shoulder-mounted bottle holder has heat-reflective lining. Velcro crampon pouch can also be used for layers or what-have-you. Ice-axe holder and safety box round out the complete pack. 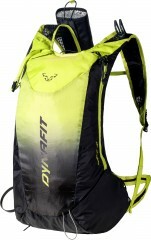 Hydration-compatible compartment and shoulder strap. Ski-carry system can be detached for vertical/simple races. Waterproof internal security pocket keeps your secrets. Bottom Line No grey area, just black and white. Another question relating to size. Does this pack fit smaller people?  I’m around 165cm. Or do you have another recommendation? Claire, I would say Yes. These lightweight packs are pretty small to begin with. We have the Camp Skin pack that comes in small and large. I compared the small to the height of the Speed 20 and it appears to be about the same. Any inputs on the back length of this pack? I am quite a long guy (192 cm). Any inputs on this or another pack in the same category that fits long people would be much appreciated. Hi Erik. It's a decently long pack. At 192cm you're definitely tall but not so tall that this wouldn't work for you. A similar pack that we know confidently will fit a taller person better than a shorter person is the Trab Litepad pack. It's a little bit bigger of a pack than the Speed 20, but the Camp Ski Raptor will definitely fit a long torso really well. The Camp Rapid Racing pack is a favorite of mine and the body of the pack seems to be long enough we never see fit issues with it.